Crate & Barrel's Christmas candy tins are just too wonderful to throw out once emptied of their yummy treats. 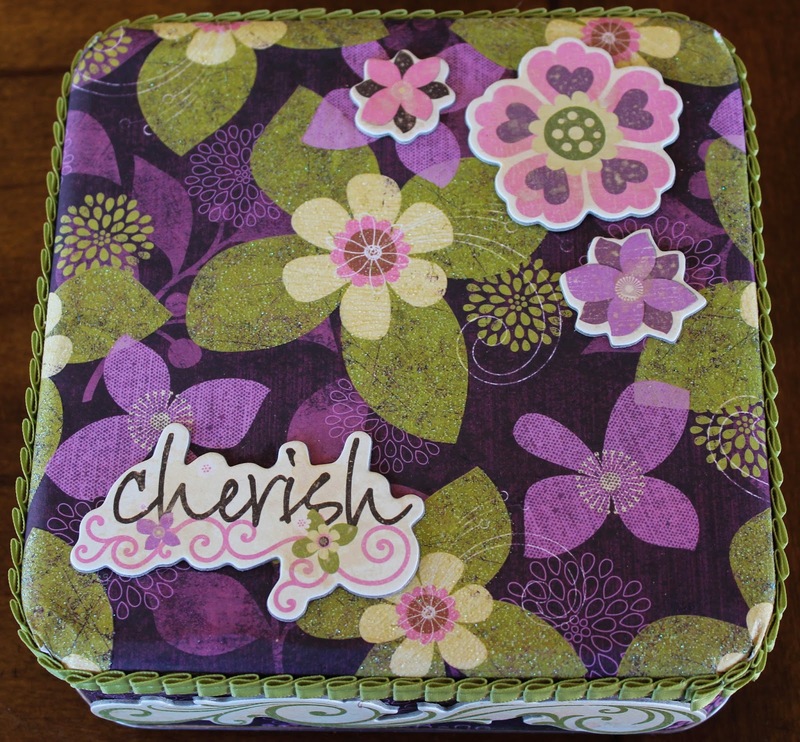 For years, I've been addicted to creating altered art with candy tins, tea tins, boxes, trays and more. Here is my latest creation: a gift box decorated with BoBunny paper and embellishments for my friend LaDonna. I then filled the tin with all kinds of goodies. Thank you for this wonderful tin, Kathy! I love it and appreciate your thoughtfulness and craftiness! Your work is perfection!